Demographers address a varied and ever-expanding range of practical concerns that arise in business and public policy arenas. Specialists in small-area and business demography draw upon common demographic concepts, data sources, and statistical techniques to address those concerns. The “small areas” where such concerns arise typically are sub-state areas, ranging from counties or cities to census tracts and even individual blocks. Business demography as a whole is an eclectic, loosely organized field, driven by tangible problems. These problems range from specific and highly local–e.g., where to site a parking garage–to regional or national concerns with population aging or sea level rise. 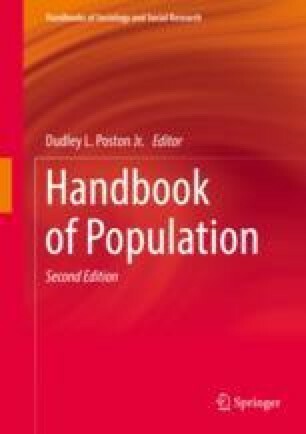 This chapter first reviews the objectives and distinctive features of small-area demography, the scope and practice of business demography, and the primary tools used in both fields. Next, we profile various studies illustrating the breadth of topics small-area and business demographers address. Finally, we consider prospects for the future in both fields. Nantucket Data Platform. (2018). https://nantucketdataplatform.com. U.S. Census Bureau. (2014). American Community Survey Design and Methodology, Version 2.0. https://www.census.gov/programs-surveys/acs/methodology/design-and-methodology.html. U.S. Census Bureau. (2018). Methodology for the United States Population Estimates. Vintage 2017. https://www2.census.gov/programs-surveys/popest/technical-documentation/methodology/2010-2017/2017-natstcopr-meth.pdf.